Information reaching OluFamous.Com is that Henry Chibueze, aka Vampire, has been killed by the Police Special Forces led by the IGP Intelligence Response Team (IRT). Recall that when OluFamous.Com broke the news of his escape in a comando-like style at a court premises in Imo State, we said the only way to get him was for the IG to send his team, rather than leave the situation for the local police in the state. The operation has paid off. 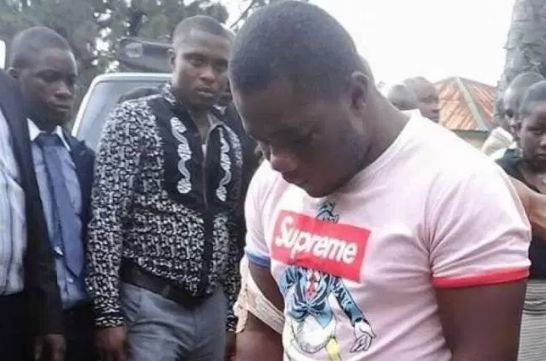 The wanted criminal met his waterloo early this morning at about 1am on Thursday during a gunbattle with the IGP Team in Omu Awa Forest, Ikwerre, Rivers State. Five other members of his gang, including his 2nd in command, were arrested alive and cache of arms and ammunition were recovered. Vampire had escaped from Imo High Court premises following a shootout between gunmen and security operatives in Owerri on January 27th. In an attack that left several persons wounded, members of his gang attacked the operatives when Vampire and other inmates arrived at the premises of the Imo High Court in Owerri. Imo Governor, Rochas Okorocha promised a reward of Five million Naira to anyone with valuable information that could lead to the arrest of the notorious criminal. Police force spokesman in Abuja confirmed the killing of Vampire.